Thika United FC- Sponsor plea, open to take over talks. The directors of Thika United Football club wish to invite well-wishers and people of good will to join the family and support, as the club embarks on regrouping and preparing for the upcoming NSL league. For the last Nineteen (19) years, and through wise investment in players, technical team and managers, the club has won the hearts of football enthusiasts by the abundance of young talents that have come through the club’s football philosophy. 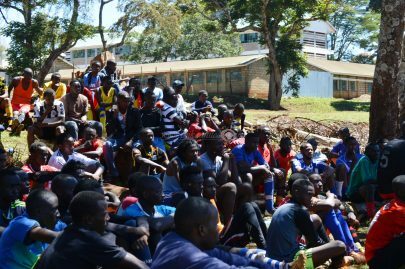 This was evident on 17/10/2018 at the Thika sub-county stadium when the club paid her last respect to the late Dennis Lewa Mwangala who perished in the fort ternan horrible bus accident. Over 50 former and current Thika United Football Club players including Harambee Stars sensations Francis Kahata(Gor Mahia) and Dennis Odhiambo(Sofapaka), Clifton Miheso(Buildcon FC – Zambia), former team captain Stephen Ocholla (formerly Ulinzi) and Thika sub-county prosecutor Paul Anunda just to mention a few who took the pitch in a tribute match organized by friends of Lewa. Thika United’s record in nurturing, growing and developing young talents is second to none and the club aspires to continue investing in the young football talents of this great nation. Out of the 18 clubs confirmed for the 2019 SPL season, 15 clubs have one or more players who graduated from the Thika United FC youth program. After 17 years of top tier (Premier League) football, the club went through very difficult financial periods during the past two seasons (2017 and 2018) which led to a mass exodus of players to other well-paying clubs bringing about a string of poor results and hence the club’s relegation to the National Super League (2nd tier division). the journey to teenage. Special thanks to the Chairman of Brookside group for initiating the adoption and for his unwavering support to the club. In the early nineties (90s), the then and only premier league side from the larger mount Kenya region KTM FC collapsed after their main sponsor Kenya Taitex Mills Ltd was placed under receivership. We are hoping that the cooperate world will join us as we strive to avoid a similar scenario. The club is therefore appealing to any willing cooperate sponsors to contact the club directors for further discussions on either a business partnership arrangement or a complete takeover. The club has been a success story over the years with a very lean budget of between ten and eighteen million kenya shillings per season while most if not all of its competitors operated with budgets more than double or even three times the club’s annual budget. We believe that with more funding, Thika United Football Club can make great progress and continue in the development of more superstars and hence our Kenyan football. Official statement on the demise of Denis Lewa. Thika United Football Club has published the following statement following the tragic passing of Denis Lewa. 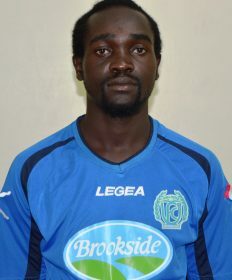 Denis Lewa Mwangala joined Thika United FC in January 2017 from National Super League side Coast Stima. 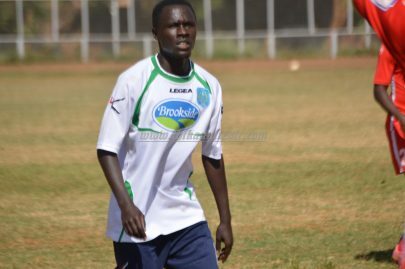 The ambitious midfielder impressed the then Thika United Head coach James Nandwa, in a pre-season trials exercise and was recruited into the team. Lewa continued to play for Thika United FC even through to the later stages of 2018 season, where he expressed through a letter, his desire to leave the club and try his luck elsewhere. On the 27th of September 2018, Denis Lewa through a termination of his contract as per his request, was released from the club. On 10th October 2018 we started receiving enquiries of his whereabouts following rumours of Lewa’s tragic road accident. Today 11th October 2018, Evans Mwangala who is Lewa’s brother confirmed to Thika United FC that indeed Denis Lewa passed on in the ill fated bus that crashed in Fort Ternan. We as Thika United FC family wish to convey our heartfelt condolences to the family and friends of Denis Lewa, for the tragic loss of their loved one; and may God’s peace and love comfort you now and always. –End of statement. According to Kericho police commander James Mugera, the accident occurred after the brakes of the bus failed. The driver lost control of the vehicle as it descended the black spot. The bus then veered off the road and rolled several times. It’s reported around 56 people have perished from the accident. Kapchanga back in full training. E.Kapchanga back after foot fracture. Thika United FC forward Emmanuel Kapchanga has an impressive come back to the training squad after a five month lay off, following a foot fracture suffered on his debut, against Nakumatt FC back in February 2018. The Thika United ace has been training with the rest of the squad for the last ten days and the Medic team are impressed by the positive progress Kapchanga has displayed. The injury report comes as a boost to Coach John Njogu and his Technical team as they plan ahead in the coming fixtures. Meanwhile Thika United will host Nakumatt FC at Thika Sub-County Stadium tomorrow Saturday 28th July 2018. The match will kick off at 3pm. Compiled by Ken_magu. Thika United defeated 2-0 at home. It was not going to be an easy fixture for a makeshift and inexperienced Thika United FC side as they went down 2-0, from a goal in each half of the match against Ulinzi Stars this afternoon at Thika Stadium. Coach John Njogu assembled a new team after a good number of the regular players terminated their contracts with the club. Ten new signings were in the 18 man squad that lost 2-0 against Ulinzi stars; Thika United fell behind in the 3rd minute, after a poor clearance at the back-line and had to climb a mountain to really cause a threat at the visitors and twice went close with new blood Valentine Nyandike missing the target by inches. Ulinzi Stars who played with very little pressure found the cushion to their lead in the 69th minute of second half and things got real tough on Thika United, but the new boys never panicked and thwarted any further drabbing by the soldiers and settled for a 2-0 loss. Subs: Kevin Opiyo, Samuel Chege, Melvin Muthomi, Haji Mwachoki, Ibrahim Mwiti, Brian Asman, Richard Waithira. Coach Njogu will have a two weeks break before their next fixture versus Homeboyz away in Kakamega on the 14th July; This time hopefully will be used by the technical bench to gel the new players with the old ones to form a much fine tuned team, as the fixtures will come fast and congested after the the break.Report by Ken_magu. Thika United FC to rope in ten. 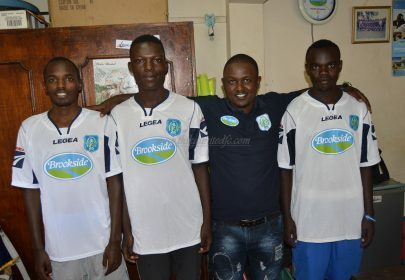 Coach Njogu with some of the new signings at Thika United. Thika United FC will have recruited ten new players by the end of the mid season transfer window which closes by midnight Saturday 30th June. Thika United shall be without a number of their known players after the transfer period, who opted to terminate their contracts and the club subsequently replacing the positions affected by signing new players. Recently Thika United conducted successful trials in Thika and in Meru and four of the new catch hail from the vast Meru region, more to follow…. Meanwhile Thika United will host Ulinzi Stars at Thika Sub-County Stadium in their next league fixture slated for Sunday July 1st. Compiled by Ken_magu. Thika United Thump Sony, in coach Njogu’s debut. 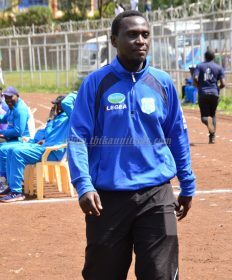 Thika Utd Head Coach John Njogu. Thika United FC new tactician John Njogu, made a positive start in his debut match with a comfortable 3-1 win against visiting Sony Sugar over the weekend. It was a tentative start for both sides as they were trying to settle into the match. The humidity of an impending rainy night was taking a toll at the players, with Thika United looking to take advantage of the conditions. Mukangula came close to opening the scoring in the 14th minute from a direct free-kick just outside of the box, but his shot skimmed on top of the crossbar. Saad Musa grabbed the lead for the home team in the 24th minute from a 20 yard screamer after side stepping the opponent and beating a flat footed Sony Keeper. 1-0. Skipper Dennis Odhiambo, pounced on a loose ball outside the box and drove in a fierce left-footed shot between a forest of legs, beating the goalkeeper into the far post corner. 2-0. Shami Kibwana could have put his name on the score sheet at the stroke of half-time from a close range effort which sailed narrowly wide following good work from the forward. The match went into the interval with the home side deservedly leading 2-0. The opening 10 minutes of the second-half was scrappy but Sony Sugar were camping in the Thika United’s half in search of an equalizer. Coach Njogu made three subs in the second half ( James Kinyanjui for Saad; Agesa Davies for Hansel and Masakidi Clement for Mukangula) and the momentum in-search for more goals intensified. The chances were there for the home team on counter-attacks and on the 64th minute Shami grabbed the third goal for Thika United from the penalty spot, after Sammy Meja was brought down in the box. 3-0. Fredrick Onyango managed to pull one goal back for Sony in the 82nd minute with a header from a corner, but it proved to be nothing more than a consolation as Thika United held on for their second straight league win. FT: 3-1. Thika United starting XI: Eliud Emase,Baraka Badi, Meja Sammy, Mwinyi Kassim, Okumu Collins, Odhiambo Dennis, Mutinda Michael,Musa Saad, Mukangula Eugene, Shami Kibwana and Ochieng Hansel. Subs: Kelvin Opiyo,Denis Lewa,Idah Sosthenes,Kinyanjui James,Muturi Francis,Masakidi Clement and Agesa Davies. SoNy Sugar starting XI: Kevin Omondi, Kevin Oluoch, Martin Werunga, Samuel Olare, Joseph Omweri, Victor Ademba, Frederick Onyango, Tobias Omondi, David Simiyu, Yema Mwana, George Abege. Thika United will next host AFC Leopards at Thika Stadium on Sunday 20th May,2018. Compiled by Ken_Magu. John Njogu is Thika United new Head Coach. Thika United FC has appointed Coach John Njogu Kamande as their new head coach following the recent resignation of coach Nicholas Muyoti. Coach Njogu is a holder of CAF B coaching Licence and KNVB Advance Level certified, among other professional training qualifications. Before joining Thika United, Coach Njogu is notably known to have coached Kiambu AllStars FC in Kenya Division one league, from 2014- 2017. Coach Njogu will lead Thika United in their next fixture at home against Sony Sugar, on Sunday 13th May 2018. Compiled by Ken_magu. 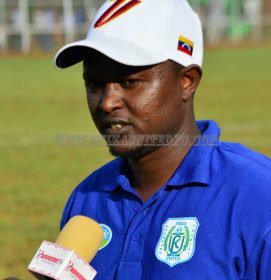 Thika United FC head coach Nicholas Muyoti has resigned. 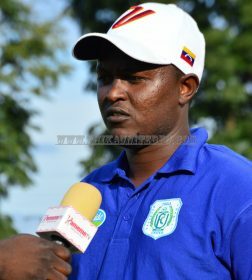 Coach Muyoti speaking to www.thikaunitedfc.com, after tendering his resignation.